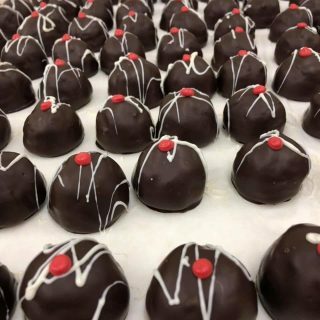 Whether it is a melted dark chocolate, milk chocolate or white chocolate center, our truffles are flavored with fruit mashes, liqueurs* and specialty high quality flavorings. 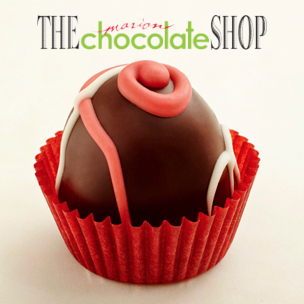 Local pick up orders are welcome – just call ahead and we’ll have your favorites waiting for you! 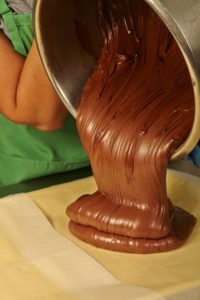 We cook the fudge for our truffles the old fashion way, in our beautiful copper pot in the kitchen. 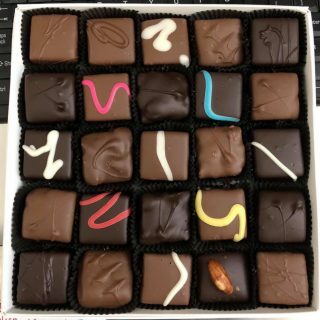 We aren’t your grandmothers recipe, however. 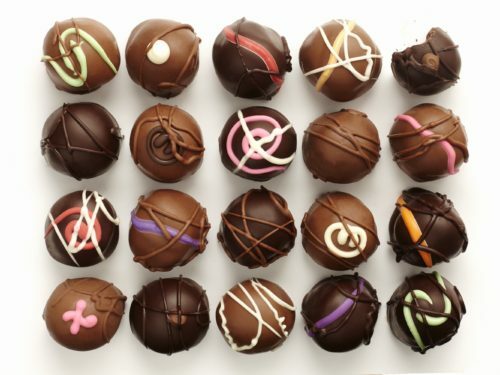 When we make a batch of truffles, we make 150 of ONE flavor at a time. 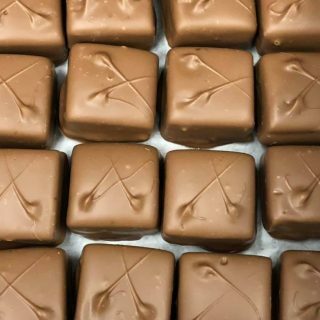 All of our gooey delicious truffles begin with our rich chocolate fudge — our truffle recipe begins with the same chocolate that we use to coat our truffles. 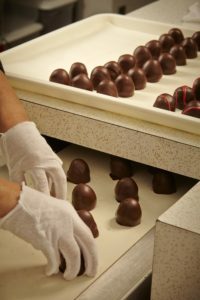 Whether it is a melted dark chocolate, milk chocolate or white chocolate center, our truffles are flavored with fruit mashes, liqueurs* and specialty high quality flavorings. 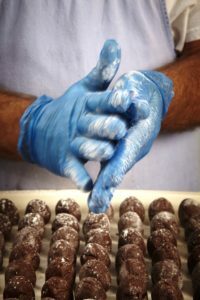 Once the fudge has set — it is hand cut and weighed, hand rolled, coated in milk or dark chocolate, hand decorated and drizzled.